Our mission is to change the way the world ages. We understand families face a difficult choice when forced to balanced their loved one’s needs for in-home care. We see it every day. At Home Care Assistance, we understand and consequently offer a simple way to adapt to a holistic approach to healthy longevity based on the longest-living people on Earth. We developed the Balanced Care Method™, a revolutionary approach to caregiving. HCA provides expert care to the Pembroke Pines, Miramar, and Weston communities. We are licensed, bonded, and insured. We have Florida-licensed home health aides, and certified nursing assistants on staff. We also employ a Registered Nurse who supervises our caregivers and evaluates care plans to make sure we are achieving our client’s medical, physical and psychological needs. All of our caregivers are rigorously screened with criminal and national background checks and take a psychological exam to test for honesty and conscientiousness. Our services start with a free assessment conducted by our Client Care Manager and owner, he makes sure to address all necessary details and provides a safety home assessment during his visit. Free of charge, with no commitments. A tailored care plan is then created that takes into account specific requirements and goals for the well-being of our client. Before commencing services, we allow you and your loved one interview several candidates. Finding a right match is critical to succeed. We provide an array of services including senior care, respite care, assisted-living facility care as well as services to those with Alzheimer’s/Dementia, Parkinson’s, special needs, post-surgery recovery and more. We go beyond providing assistance with the basic “activities of daily living”. Our caregivers, who are our employees –not contractors, are trained to plan and prepare healthy meals, do medication reminders, light housekeeping, assist with personal hygiene, and drive care recipients to doctor’s appointments and other outings. We guarantee you we will be there, and you will have the same caregiver every time –this way your loved one will bond and develop a strong relationship over time with the caregiver. Not to mention the level of trust your family will acquire with her as well. 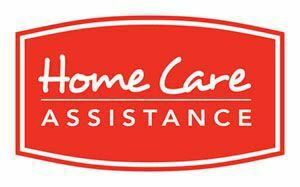 Our in-home services are approved by most major long-term care insurance providers and we can help filling out necessary paperwork. That assistance, along with our straightforward, surprise-free pricing, allows peace of mind for families. We do not require a long-term contract. Stay with us as long as you are completely satisfied. We embrace a positive, balance approach to aging centered on the evolving needs of older adults that focuses beyond their basic needs to also care for their mind, body, and spirit. We have been recommended by local medical professionals, and the families we serve enjoy peace of mind knowing their loved ones are aging safely and comfortably in their own homes. We've been recognized and awarded the 2018 Best of Home Care® Provider and Employer of Choice Awards. This makes it two years in a row! We look forward to speaking with you personally. Together, we will explore different care options and find a customized solution. We know we can help.